Petra, the old capital of the Nabataeans located in the hilly semi-dessert of Jordan, was put on the list of the 7 modern world-wonders and experiences a boom in visitors since then. This article describes the access to the ancient city, provides tips and hints, some historical information and a short description of the site and the most famous monuments. The best way to explore Petra is a guided tour, UB Cool organizes three different tours to Petra. The hub to and from Petra has grown quickly and somewhat chaotically in the last years. New hotels appear on a monthly basis and the prices for accommodation and food is noticeable higher than in the average. It is not a beautiful sight but that is not the point of staying there. Petra is an extensive national park and costs the very substantial entrance fee of 23 Jordanian dollars (JD) for one day. Two days are relatively cheaper at 28 JD. After having bought a ticket you will be offered horse and carriages, shortening the 2km to the entrance of the siq. 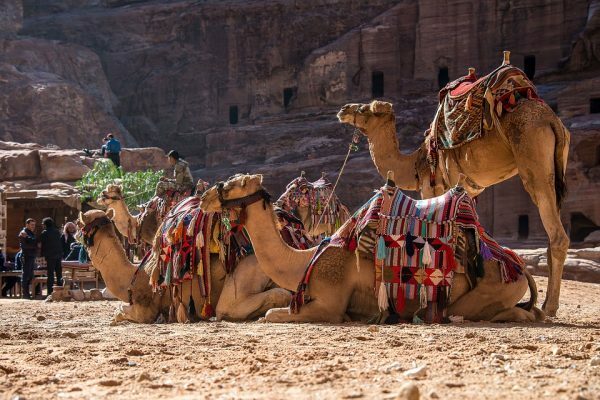 In the site itself, there is an abundance of children / youths offering their donkey and camels for transportation to the various, sometimes distant, points of interest. No matter how remote your path, you will find little shops offering jewelry, local stones and the like. In this section, a short yet by no means comprehensive description of the most important sights as well as the most obvious itinerary for a one-day visit will be given. The local topography and the restricted access to the city signify that there is just one access for all visitors, causing people to crowd on some narrow places in the central parts of the city on busy days. 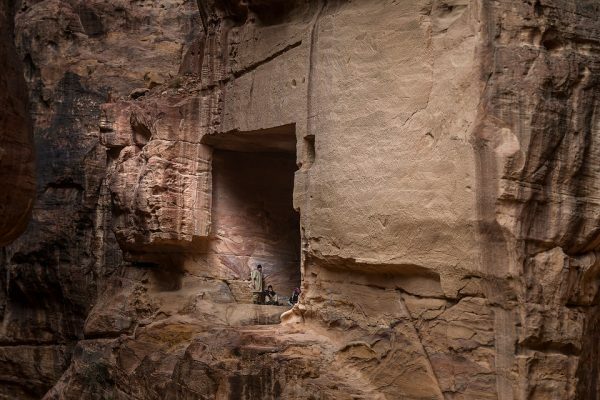 However, Petra is very ample and as soon as you leave the most frequented parts you will find yourself in beautiful and calm mountain scenery consisting out of red-shining sandstone. The common access leads through the narrow siq to the treasury, which is located at the end of a somewhat wider canyon. The stream of visitors continues to the right to the theater (left hand side) and the royal tombs (right hand side). At his point, the way crosses the wide, dry riverbed of wadi musa and leads to the ancient city center including the big temple, the museum and a restaurant. After that starts the ascent to the monastery. 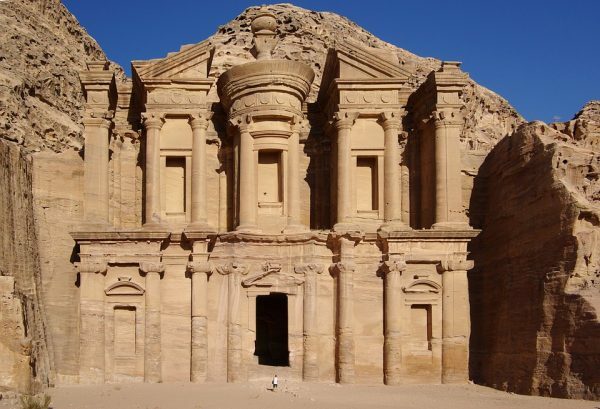 Petra Mountains and hiking Trails tour will show you the wildest and most beautiful part of Petra area. The siq is a very narrow (sometimes just 2-3 meters) canyon, rather a crack, which was washed out of the sandstone by flush-floods.